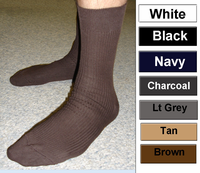 1 - pair/s $8.90 ea. 3 - pair/s $8.65 ea. 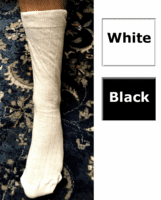 Enjoy this Slipper Sock for relaxing around the house, hospital stay, or going out for the morning newspaper and never fall again! These comfortable non-skid slippers feature 75% cotton/25% nylon terry tops and non-skid rubber soles for safety. This slipper offers over the ankle coverage. Machine washable. Imported. Great color blue to go with our Tee-PJ Nightshirts and Shawl Collar Robes. 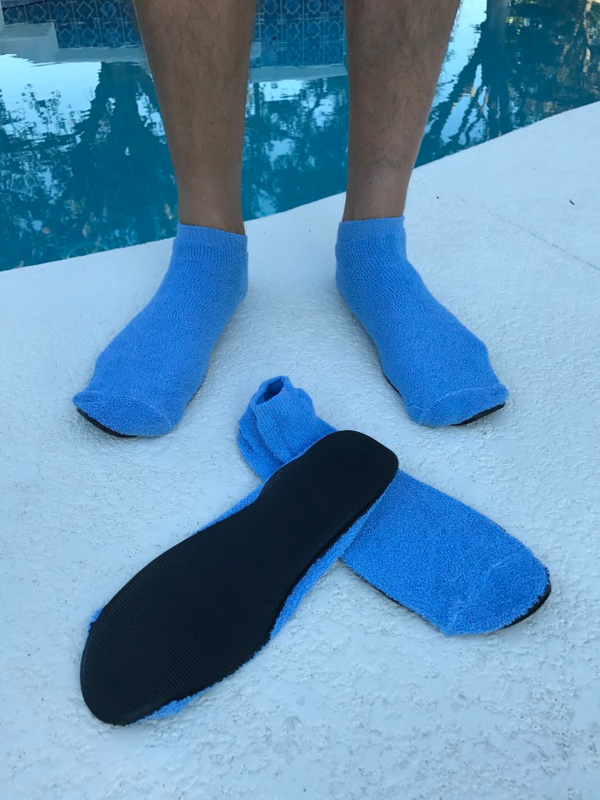 We have found these slippers run smaller than the manufacturer recommends, so when you get the slippers it will be recommended for a larger size but order with the sizes given on the sizing tab for a comfortable fit. Our family has used these slippers especially for hospital visits because of the rubber bottom for safety to keep loved ones from falling.